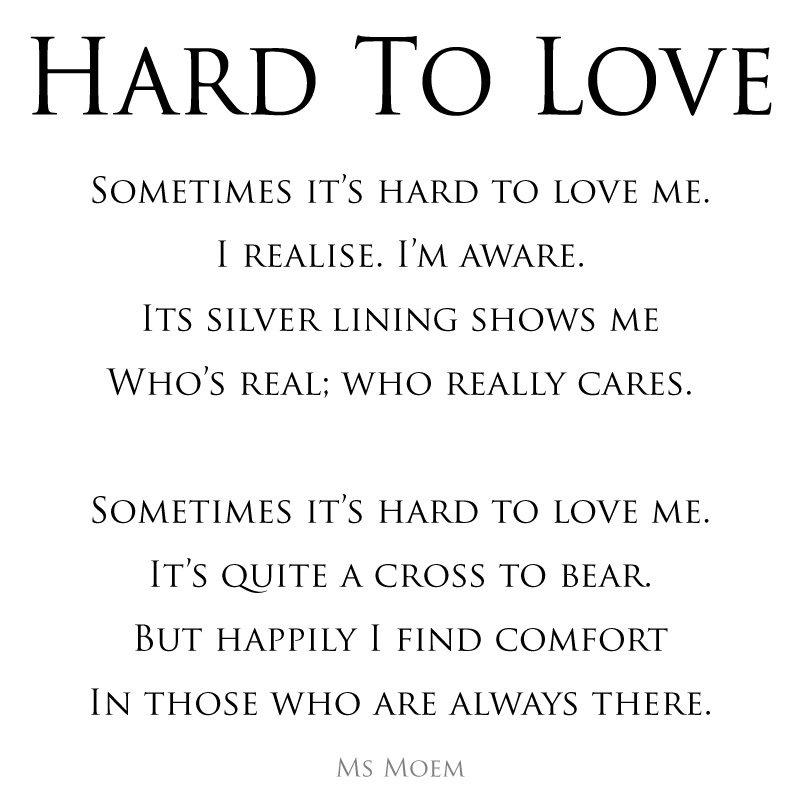 Hard To Love | Ms Moem | Poems. Life. Etc. Sometimes it’s hard to love me. Who’s real; who really cares. It’s quite a cross to bear. In those who are always there.